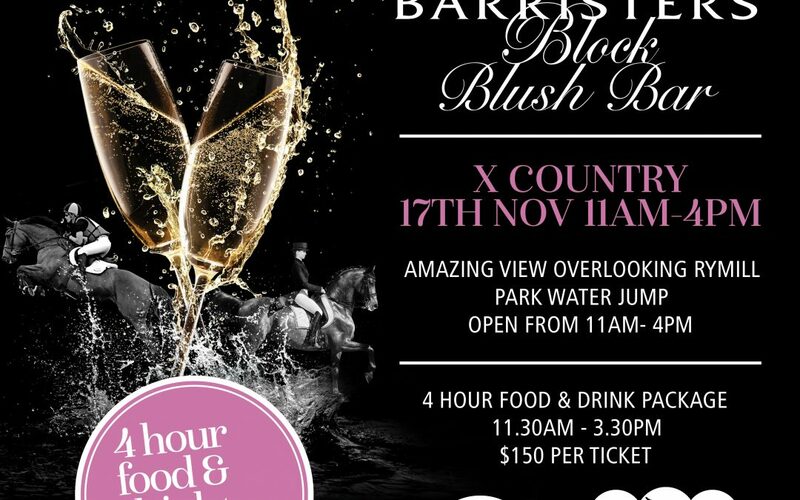 Coopers Blush Bar – don’t put your fascinators away after Melbourne Cup! There’s one more event to add to the Spring Carnival and Adelaide’s event calendar – head to Adelaide’s East parklands for equestrian action at the Qantas Cross Country Day Saturday 17th Nov. The Coopers Blush Bar will be the place to be. Exclusive access to the Garden Bar marquee with views of the exciting water jump complex, this hospitality package includes general admission and a 4-hour food and beverage package. A range of ticketing options available to ensure you have the best possible experience, ranging from General Admission, to the Giddy Up Club, to the full VIP experience in the Chairman’s Lounge Marquee. Plus an exciting range of extra activities to make sure you never have a dull moment, Marketplace Shopping Village and Pop Up Market; Kids Corral activity area; VIP Marquee, Friday Twilight Jumping Gala; Saturday night Last Jump Party, as well as food court, wine bars and more – don’t miss out on all the fun! Watch elite horses in action and feel the thunder of the horses’ hooves as they jump their way around Rymill and Victoria Parks only a stone throw from the Adelaide CBD.